(Online Interactions Not Rated by the ESRB) This game supports English only. Download the manual for this game by locating the game on http://marketplace.xbox.com and selecting “See Game Manual". 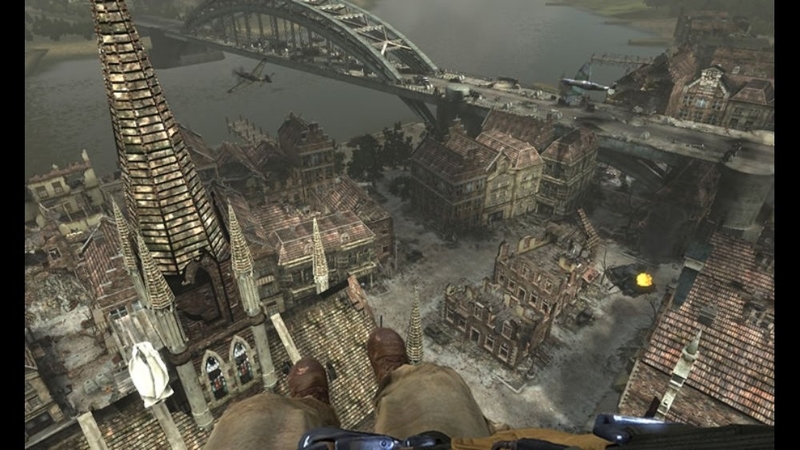 Take to the skies in Medal of Honor Airborne, where your choices will turn the tide of WWII. Starting with your jump from a C-47, every choice you make can seal your fate. 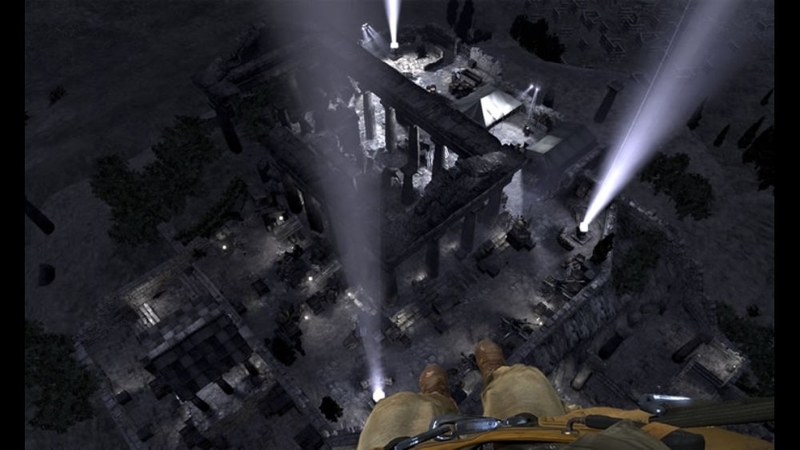 In the air, control your parachute to select the landing spot that brings you the greatest strategic advantage. On the ground, explore the open, vertical environment for positions that will provide you a tactical edge against your enemies. Then, head onto Xbox LIVE for furious multiplayer battles in three different modes, including all-new Airborne modes! You decide where to drop, you decide how to fight. It's a different war every time. There are no refunds for this item. For more information, see www.xbox.com/live/accounts. 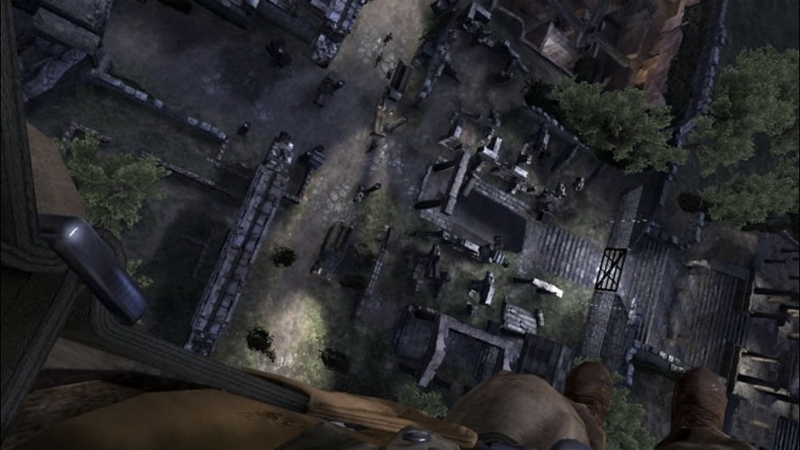 In Medal of Honor Airborne, the first step is everything. Before you take to the skies and drop into epic battles of WWII, download this theme pack featuring airdrops from Airborne and get a sneak peek on the action from above! In Airborne, control your parachute to choose landing spots that bring you the greatest strategic advantage. On the ground, explore open, vertical environments for positions that will provide you a tactical edge against your enemies. You decide where to drop, you decide how to fight. Download the demo and buy the game September 4th! There are no refunds for this item. For more information, see www.xbox.com/live/accounts. 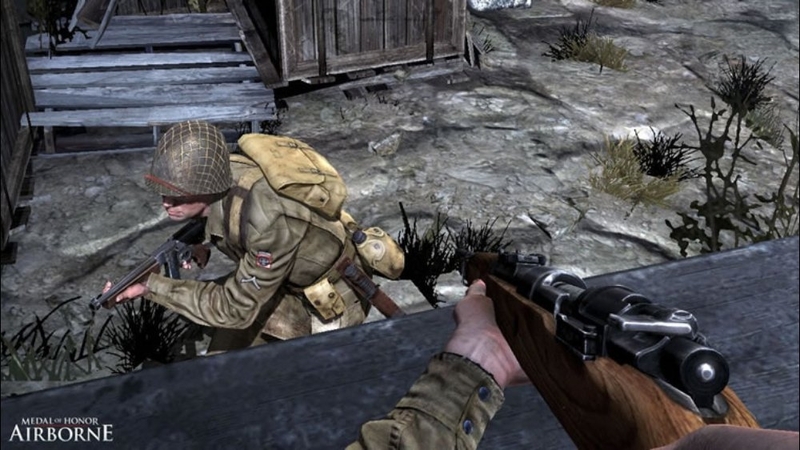 In Medal of Honor Airborne, the first step is everything. Before you take to the skies and drop into epic battles of WWII, download this awesome pack of gamer pics, featuring 4 Airborne icons created by the development team behind Medal of Honor Airborne! In Airborne, control your parachute to choose landing spots that bring you the greatest strategic advantage. On the ground, explore open, vertical environments for positions that will provide you a tactical edge against your enemies. You decide where to drop, you decide how to fight. There are no refunds for this item. For more information, see www.xbox.com/live/accounts. 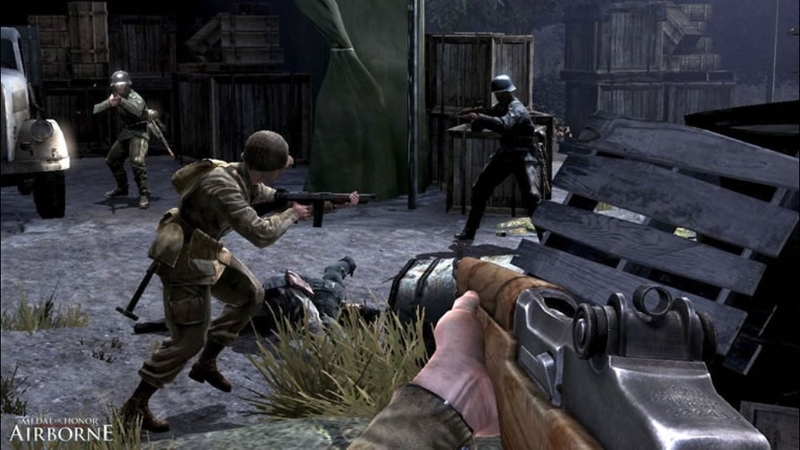 The toughest Axis forces from Medal of Honor Airborne invade your Dashboard via this deadly theme pack. For those who prefer to play against the rules, download this theme pack featuring artwork of four deadly Axis units, including some never before seen in WWII games, created by the development team behind Medal of Honor Airborne. On September 4th, get ready to get Airborne. There are no refunds for this item. For more information, see www.xbox.com/live/accounts. Get ready to get Airborne! Medal of Honor Airborne is out 9/4/07, but download demo now to prepare to take to the skies and drop into epic battles of WWII. In the air, control your parachute and start anywhere you want on the battlefield. On the ground, explore open, vertical environments wherever you want, however you want. You decide where to drop, you decide how to fight. Demo features the first 4 objectives of Operation Husky. Relive the airdrop experience and choose your landing spot to find new ways to attack your enemy. Upgrade your available weapons through accuracy to make them more deadly on the battlefield. Then, compete in Airborne’s LIVE Launch on September 7th - 9th! Only the most elite and heroic soldiers of WWII could liberate the world from the tyranny and oppression of the evil Axis. Before you take to the skies and jump into combat to take down the Axis forces, suit up your Dashboard with these gamerpics featuring artwork of four allied heroes, created by the development team behind Medal of Honor Airborne. On September 4th, get ready to get Airborne. There are no refunds for this item. For more information, see www.xbox.com/live/accounts. 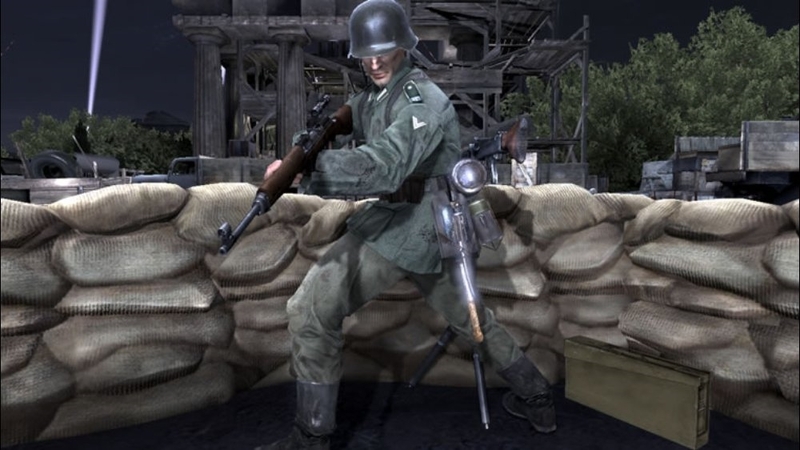 The toughest Axis forces from Medal of Honor Airborne invade your Dashboard via this pack of gamerpics. Download this theme pack featuring artwork of five deadly Axis soldiers, including some never before seen in WWII games, created by the development team behind Medal of Honor Airborne. On September 4th, get ready to get Airborne. There are no refunds for this item. For more information, see www.xbox.com/live/accounts. Only the most elite and heroic soldiers of WWII could liberate the world from the tyranny and oppression of the evil Axis. Before you take to the skies and jump into combat to take down the Axis forces, suit up your Dashboard with this theme pack featuring artwork of four allied heroes, created by the development team behind Medal of Honor Airborne. On September 4th, get ready to get Airborne. There are no refunds for this item. For more information, see www.xbox.com/live/accounts. 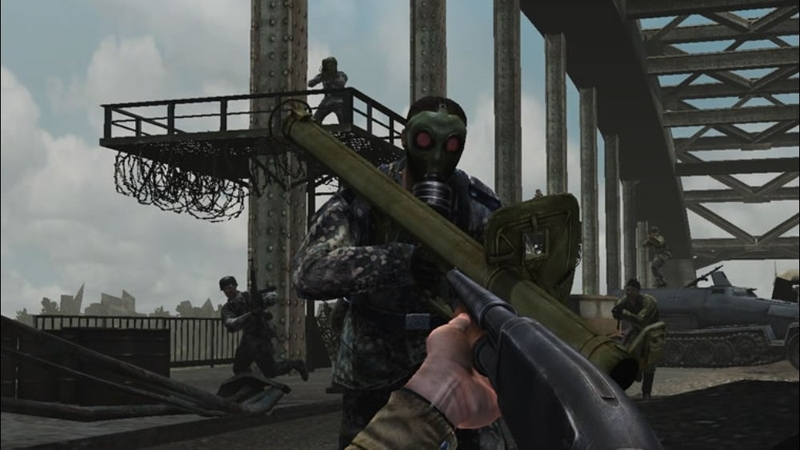 In Medal of Honor Airborne, you pick your landing spot, you choose your battles, and you tackle objectives in any order that you choose. Your enemies surround the battlefield. Some will attack you from the trenches, others will pound you from the shore guns. Some will fire from the spotting tower, while others snipe from pillboxes. How will you attack the enemy? Where will you go? The choice is yours. On August 28, get ready to get Airborne. Get ready to get Airborne! 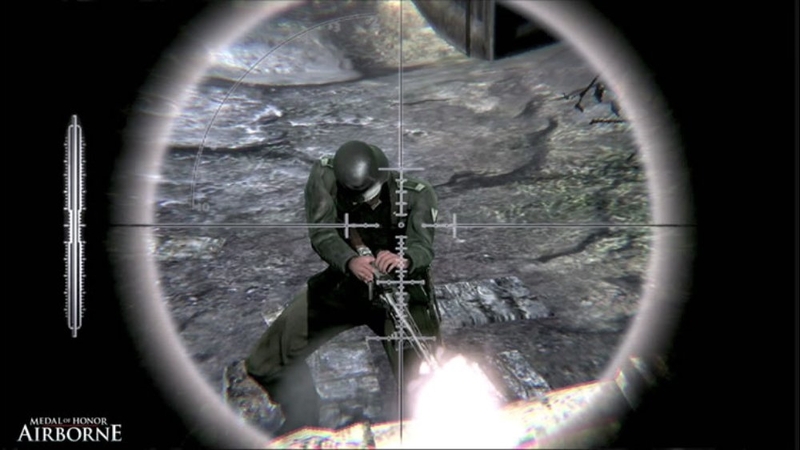 In Medal of Honor Airborne, YOU choose how you want to fight. 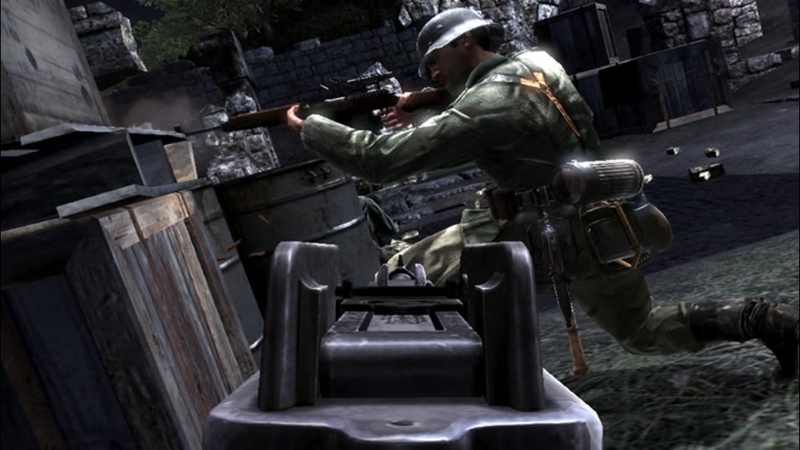 Do you snipe from an elevated position, flank the enemy and use close combat techniques, or charge up the front? You can do all of this and more - but enemy soldiers and emplacements are mobile - no two battles are ever the same. 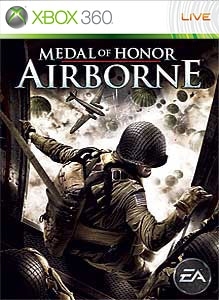 In Medal of Honor Airborne, you’ll start every mission by parachuting from a C-47 airplane into the combat area. You’ll land hard – but you’ll get to decide how you’ll take the fight to Hitler’s war machine. See how the innovative game feature that allows you to start anywhere plays out in Operation Husky. 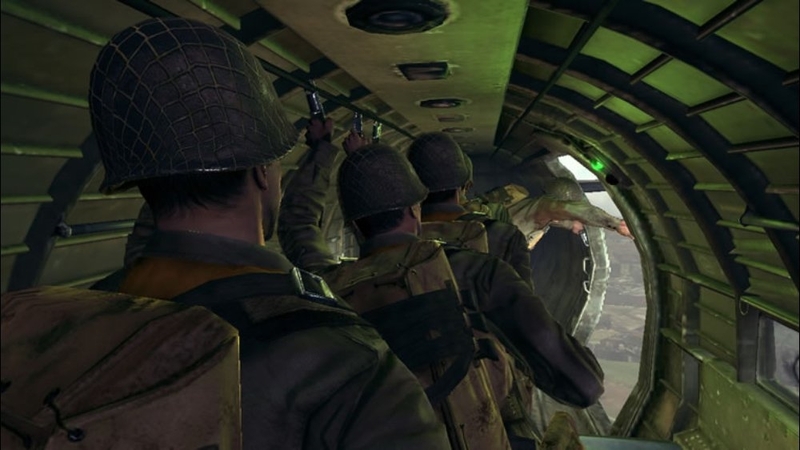 Take to the skies in Medal of Honor Airborne, where you’ll drop into grueling ground attacks in a bid to turn the tide of WWII. Starting with your jump from a C-47 plane, every choice you make can seal your fate. In the air, control your parachute to select a landing spot that brings you the greatest strategic advantage. On the ground, every move you make—from your choice of landing spot to the enemies you engage on foot—will determine your success in the mission, and whether or not you are truly one of the Airborne elite. On August 28, 2007, the first step is everything. 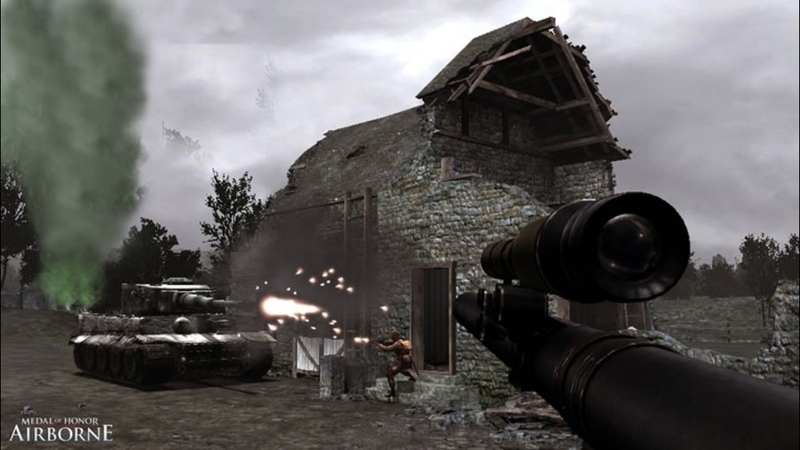 A theme pack created with striking concept art featuring various Operations from Medal of Honor Airborne, the latest game in the acclaimed WWII First-Person Shooter franchise. There are no refunds for this item. For more information, see www.xbox.com/live/accounts. 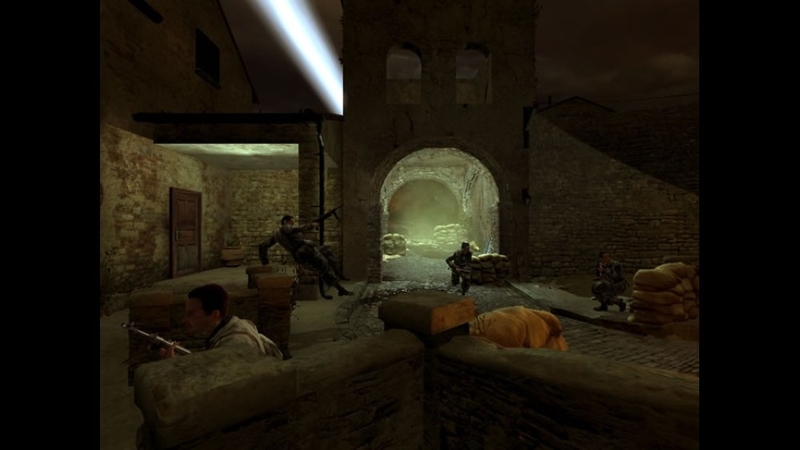 The first official trailer, premiered at E3 2006, for the upcoming Medal of Honor Airborne™, the latest video game from EA's acclaimed Medal of Honor franchise. For the 82nd Airborne, the first step is everything.